The Manchester Picnic (in its second year), returned with aplomb for the last summer month. 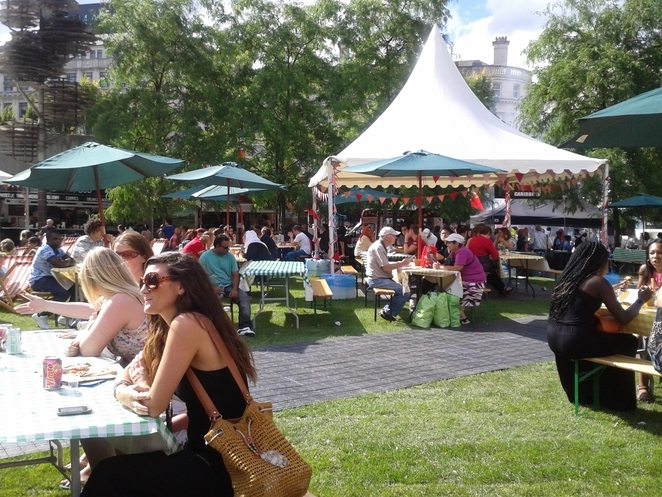 Part of Dig the City, Picadilly Gardens was transformed into a street food meets picnic dream. 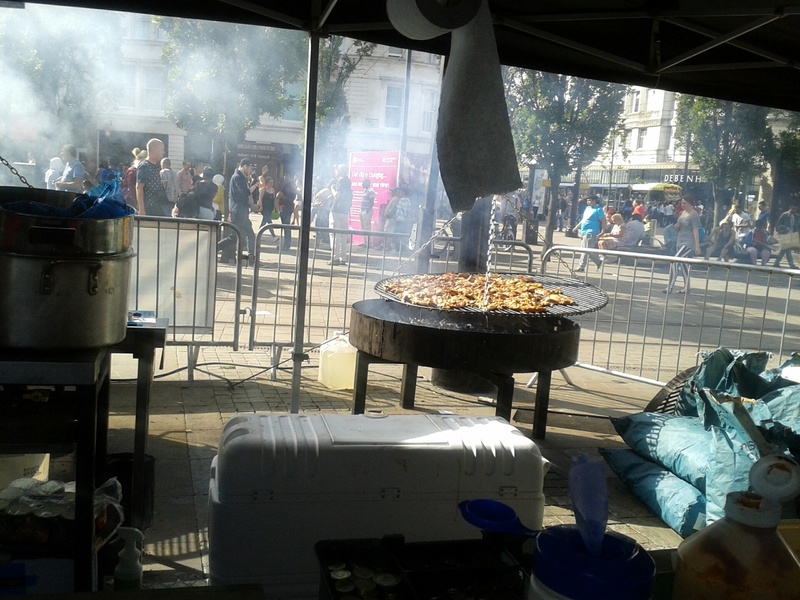 Checkered tablecloths were strewn across wooden benches and circling the table and umbrella area were a total of twelve mostly independent food vans and stalls. 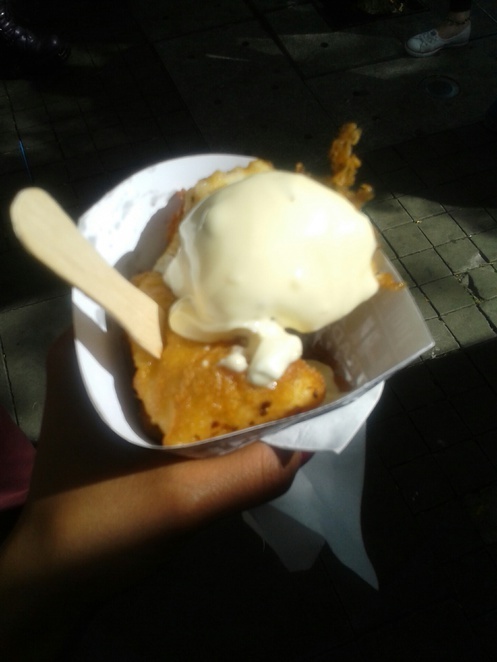 Piccadilly Gardens was a flurry of barbecued meats, exotic flavours and live music. 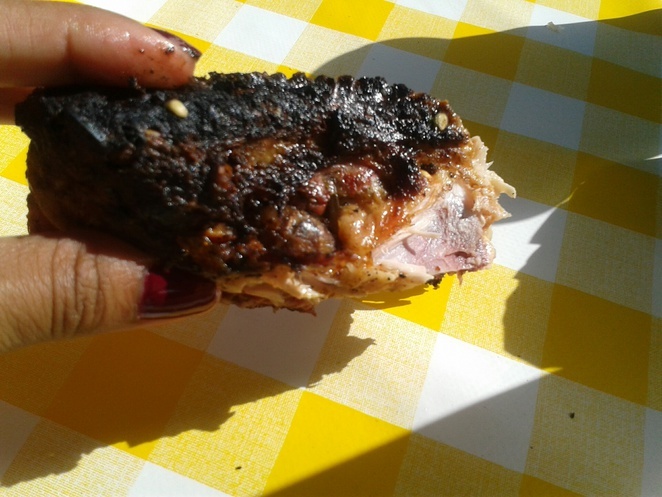 We spotted the smoking Caribbean hut which had a five-foot wide pan that was full of jerk and piri piri chicken. I indulged in the jerk chicken, which was reminiscent of my grandmother's cooking - a taste of home always puts a smile on my face. Wood fired pizza, Ginger's Ice Cream Emporium, and Chaat Cart were among some of the other vendors, and seeing your meal cooked before your eyes has a certain appeal. Whether it was the freshly churned ice cream or lentil dosa being prepared, the open air kitchens if you will, were a hit. 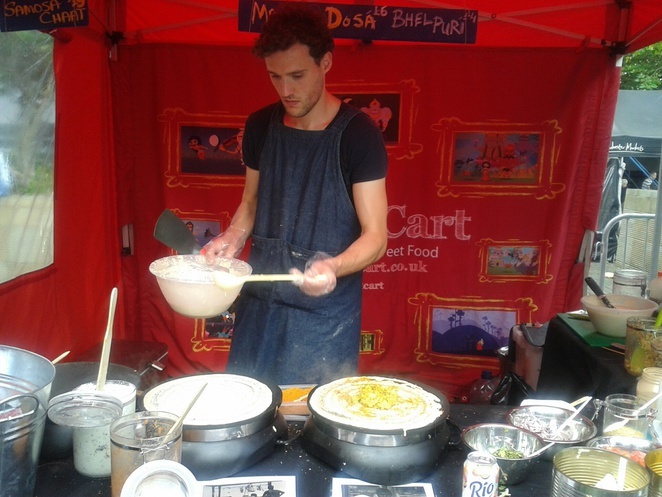 Chaat Cart served the most delicious, delicately flavoured dosa's, made with coconut oil, mango, lentils and crushed garlic. We hoovered our portions up in minutes! One of the stand-out carts were No Fishy Business, who bought a seaside air to this picnic party. They offer fresh, locally bought fish from their portable cart - it was like stepping up to a modern-day chippy, but in the middle of town. Home-made seasoned batters coat the fish and chips, and they sell seasoned sauces too. I opted for the fish cone, which is chunks of cod coated in three separate batters (plain, chilli and lime, sea salt and lemon). For the more adventurous fish-fan they also serve battered calamari, alongside the traditional fish and chips. Unity Radio was manning the DJ booth, and had arranged for a number of local musical acts to come and entertain. In between acts the music changed from vintage classics from the 40's, 50's, and 60's to more modern dubstep and old skool garage. Once we'd eaten we were dancing in our seats and absolutely loving the atmosphere. Families and couples, small and large groups were doing the same - getting their groove on in the glorious sunshine. With an electric atmosphere and a lot of laughter The Manchester Picnic has been confirmed as an annual event. So maybe next time you can create your own memories, just as I did. Roll on next year.